Arrive at Frans Seda Airport, Maumere. Our English speaking guide will pick you up at the airport and will take you directly to your hotel. The afternoon is free of program. Dinner and overnight at Sea World Club Hotel. You starting the day by visiting Wuring Village, a small fishing village, with the impressive Mount Egon volcano in the background. It is home of the Bugis and Bajo people who live in traditionally constructed stilt houses. Then you continue to Sikka Village, a very famous district for its traditional weaving using organic dyes. From Sikka you take the bicycle instead of the car and ride down to Paga (approx. 2 hours). Enjoy the serenity and the white sandy beach of Paga Beach during lunch, before going on a leisurely trek to Jopu and Ranggase villages in the afternoon. Dinner and overnight at the Kelimutu Eco Lodge in Moni. 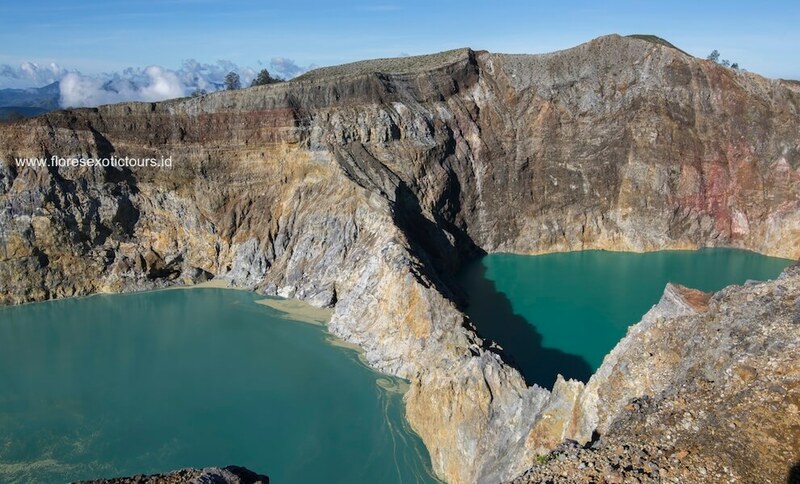 In the early morning at 04.00 am the car takes you to the three colored lakes of Kelimutu, one of the most spectacular and mysterious sights in Indonesia. You will witness a beautiful sunrise. 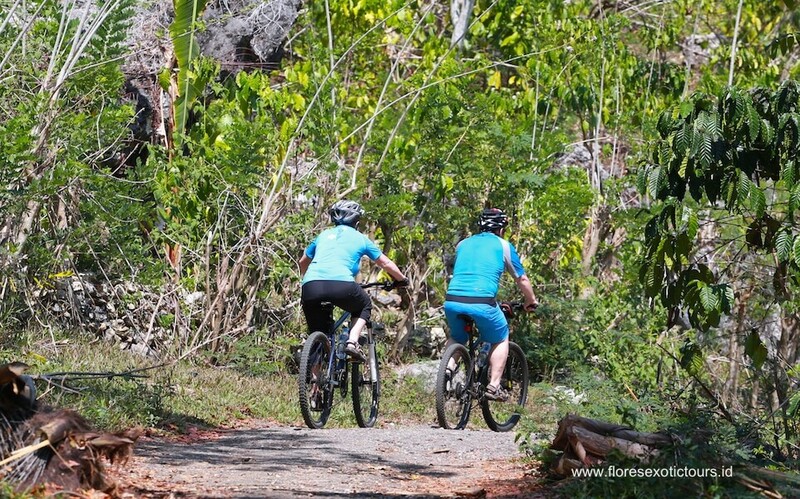 Then you return cycling to the hotel starting from the parking area of Kelimutu. After having breakfast in the hotel you continue the trip by car to Ende. The last part from Detusoko until Ende you will go by bike again for about 1,5 hours (downhill). Dinner and overnight at Grand Wisata Hotel Ende. Today you will drive from Ende to Bajawa. On the way you stop in Penggajawa to see the blue pebbles beach. After that you start cycling from Raja village to Boawae. In the afternoon a second cycling tour awaits to the hot springs of Soa. You will have time to take a relaxing bath there. In the late afternoon you will arrive in Bajawa Dinner and overnight at Sanian Hotel or Villa Manulalu. The day beginns with a beautiful biking trip departing from your Hotel to visit the traditional villages of Luba and Bena (40 minutes cycling). They are known for their impressive stone formations, ancestral shrines and traditional houses. Bena gives you the best insight of the regional culture called Ngada. After that you continue to Aimere, the centre of “Arak”-production and after lunch in Borong you go for a medium hike along the rainforest trail of Ranamese’s crater lake. In the afternoon you will reach Ruteng. Dinner at a local restaurant and overnight at MBC Susteran Guesthouse Ruteng. After breakfast you will discover the beautiful surrounding of Ruteng during a four-hours cycling tour from Ruteng to Kenda, to Ting village and Watu Alo. On the way you see an impressive scenery of rice field terraces. In the afternoon you visit Ruteng Pu’u, a traditional village with authentic old houses in Manggaraian style. Dinner at a local restaurant and overnight at Susteran MBC, Ruteng. After the breakfast you visit Golo Curu with its very nice scenery over Ruteng and the rice fields. After that, you proceed to Cancar to see the unique lingko, circular rice fields arranged like a spider web. There you go cycling around the rice fields passing the villages of Cancar (ca. 1 hour). On the way to Labuan Bajo in Roe ride the bike down hill until you reach to Labuan Bajo (ca 1.5h). Dinner and overnight at Puri Sari Beach Hotel. After breakfast at your hotel you leave again from the pier of Labuan bajo, but this time to visit the home of the Komodo Dragons “Rinca” (approx. 2h sail). Arrived on Rinca Island a trekking tour of approx. 2 hours awaits, that is the best opportunity to see the uniques dragons and their prey, passing the dragon nests and out into the sunshine across an exposed savannah studded with lontar palms. Reaching the top of the exposed slopes you will be rewarded with breathtaking views. In the afternoon you return to your boat and proceed to Bidadari Island or Kelor Island for swimming, snorkeling and relaxing. In the afternoon you return to Labuan Bajo. Dinner and overnight and Dinner at Puri Sari Beach Hotel.